Wismec Silicone Squeeze Bottle for Luxotic, which adopts high quality silicone, has 6.8ml to meet your daily needs. Just get it to make your vaping much more convenient. Material feels good, the quality is good. But the bottle is for me way to soft or my liquid is to thick for this kind of bottle (75VG/25PG). When I squeeze it with my thumb and the bottle is full of liquid the bottom of my mod pops out (Wismec Luxotic BF + Wotofo Profile). It's a little bit sad but I'll change back to the plastic bootle. Much better than the stock ones. More easy to squonk an looks better. I can recommend these bottles. 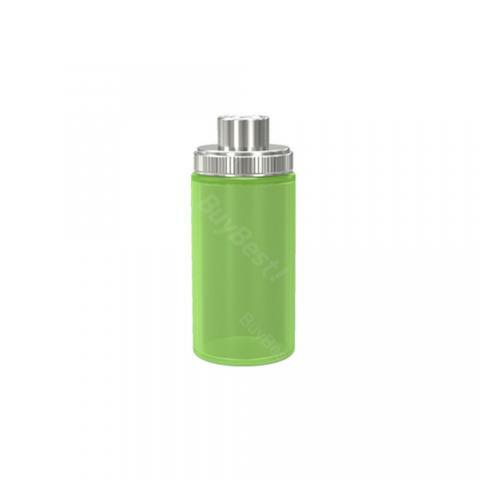 Wismec Silicone Squeeze Bottle for Luxotic is a 6.8ml capacity bottle designed for Luxotic BF Kit/MOD. It comes with a 6.8ml juice capacity for liquid storage. 1 piece in each pack.